We still have a long ways to go until Ross’s Black Friday 2019 sale arrives. But you can scroll down the page to check out the details from their last Black Friday sale to get an idea of what’s likely to come. Enjoy! Updated on Wednesday November 14, 2018: While we see Black Friday deals from just about every store over Thanksgiving weekend, Ross is one of the few exceptions. Because everything they sell is already at a massive discount, you won’t see any storewide coupons or doorbuster specials offered. The only exception is for shoppers that are 55+ or order — They offer 10% off your entire purchase every Tuesday. Regardless, if you still want to shop their stores on Black Friday then all locations will be open (many even open their doors early, although it varies by location). While most stores will be closed on Thanksgiving day itself, we’ve seen reports directly from store workers that certain ones will in-fact be open for part of the day on Thanksgiving. That’s probably true mostly at larger mall locations and not at any of their stand-alone stores. With that said, you’re probably better off using your time to shop all the other one-day only bargains on Black Friday. 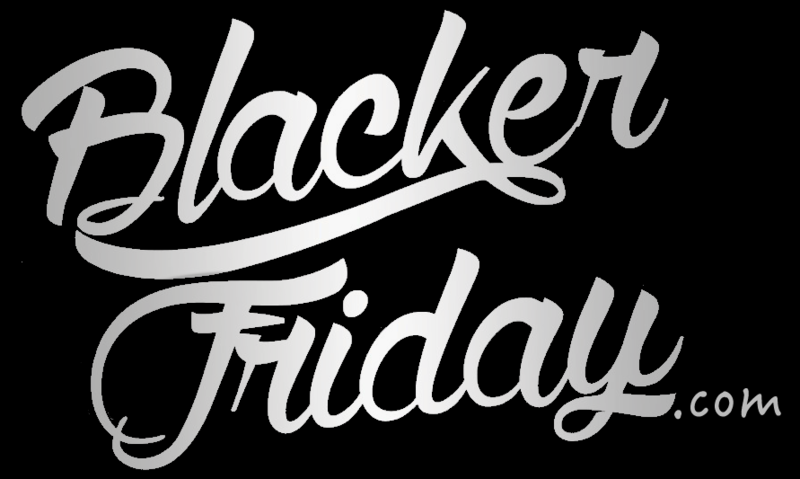 Of course we’re here to help you out — You can take a look at all of your favorite stores and brands that will be having sales this Thanksgiving on our homepage, BlackerFriday.com. What are some of the stores that are on your Black Friday weekend shopping plan? Let us know in the comments (you’ll find the comments section located at the bottom of this page). Updated on Saturday, November 11, 2017: For any of you wondering if Ross Stores have any special Black Friday deals over Thanksgiving weekend, we’re sorry to say that they usually don’t. Because everything in the store is already 20% to 60% off year round and the inventory varies from store to store, the only thing you can expect to see is a better stocked clearance rack over the weekend. Not that we’re saying you can’t find a good deal there, but it’s probably best to focus your efforts over Thanksgiving weekend on some of the other retailers that are having Black Friday sales this year (i.e. Neiman Marcus Last Call, Saks off 5th, Hollister Co., and Abercrombie & Fitch are a few stores that top our list). With that being said, you can expect some Ross locations to be closed on Thanksgiving day and others open (this will vary by location). They will also have extended holiday hours through the weekend and all the way up Christmas Eve. You can also check out their Facebook page as they often run gift card giveaways that you can enter to win. Happy Black Friday everyone! We’ve been getting a several questions from folks asking why Ross “Dress for Less” is not one of the stores that we’re tracking so we’ve decided to post this page just so you know what’s going on this year. Well, a reason why the page wasn’t up before was because that Ross doesn’t run any particular or extra sales just over Thanksgiving. That is, what’s on sale today is what’s on sale tomorrow and because inventory changes all the time and varies by store, there is no knowing what you’ll find. You can of course find some great bargains but we wouldn’t recommend burning too much time there when there are so many other sales going on this weekend. In terms of store hours, most locations will have extended store times and will be opening earlier than usually this weekend. You can visit rossstores.com to find your nearest location and it will tell you more about this year’s hours of operation. You can also take a moment to tell them which gift is on your wish list for a chance to win a $200.00 Ross gift card. Store hours vary by location – Some open & some closed today. Search for the nearest Ross Dress for Less store in your neighborhood. If you have order related questions or need product return assistance then you can contact Ross Stores Customer Service by phone at 1-800-335-1115.